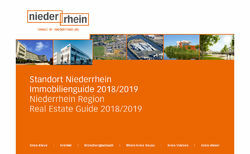 The Niederrhein region includes the cities Krefeld and Mönchengladbach as well as the four districts Kleve, Viersen, Wesel, and Rhein-Kreis Neuss, with two million inhabitants. 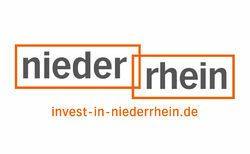 The Niederrhein region – a cosmopolitan economic region with guaranteed future potential for property developers and investors. Here in the west of North Rhine-Westphalia, along the Rhine, right next to Düsseldorf, Cologne, the Netherlands and the Ruhr region, there are around 120,000 local and international companies shaping the region’s business community – creative, innovative, and globally competitive. 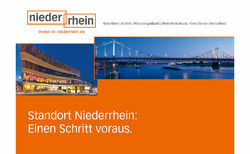 And the Niederrhein region has room. 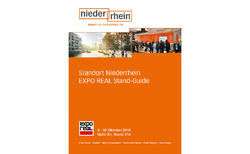 Find out further details about the latest real estate projects at our booth and talk to leading representatives from administration, business development and stand partners from industry.